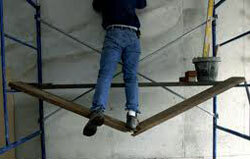 We are a Workers’ Compensation Board (WCB) authorized clinic. This authorization entitles you to visit our clinic for WCB approved chiropractic services directly related to your work injury. There are times when injuries occur at work. These injuries often require specific treatment plans that we can help you with. The WCB approval will cover your expense to get you back to pre-injury status. Ready to make an appointment? Contact Edmonton Pain & Injury Clinic now to schedule a a time to come visit.